Why These Damage Restoration Companies? Our goal is to connect people with the best local experts. We scored damage restoration companies on more than 25 variables across five categories, and analysed the results to give you a hand-picked list of the best damage restoration companies in Newark, NJ. EZ Restoration is a restoration contractor located in North Bergen, New Jersey, that serves the surrounding areas, including New York City, New York. The company has been in business since 2013 and is known for their ability to get on site quickly and provide speedy assessment services. They provide restorations and defense against fire, smoke, and mold damage. They are also equipped to deal with flood damage in both homes and basements, and they offer restorations for water damaged areas of a property. Customers speak highly of the company's prompt response time and exceptional skill in the damage restoration industry. In the Newark, New Jersey area, customers can call on Newark Affordable Carpet Cleaning for repairs from flood or fire damages. Their team will make a quick response to prevent increased damage. For flood damage, trained technicians use the latest tools and methods for drying carpets, upholstery, and walls; then high-tech monitoring equipment is brought in to detect moisture levels. Quick action prevents potential mold, mildew, or microorganisms that can appear from water damage. Newark Affordable Carpet Cleaning can dehumidify, treat for mildew, remove and dispose of garbage, deodorize, and disinfect surfaces to bring the property back to normal condition. Pure Service Pro brings more than 50 years of experience providing waterproofing and restoration services to homes, businesses, schools, hospitals, hotels, and industrial facilities in West Orange, NJ and the surrounding communities. The company’s certified restoration inspectors and technicians specialize in flood restoration, mold testing and restoration, carpet and upholstery cleaning, dry cleaning restoration, commercial cleaning, basement waterproofing including crawlspace and foundation repair, and general contracting. Pure Service Pro offers 24/7 emergency services, flexible no-interest, no-payment financing options, lifetime transferable warranties, and direct insurance billing. The company is an accredited BBB business and scores high with customers for its timeliness, reasonable price, efficiency, knowledge, responsiveness, and thoroughness on the job. Water Damage Hoboken is a business that has been serving commercial and residential customers for more than 19 years. The business provides services including sewage damage clean-up, fire and soot clean-up, mold testing, mold inspections, mold remediation, black mold removal, flood clean-up, board-up services, dryer vent cleaning, air duct cleaning, carpet cleaning, rug cleaning, crawl space clean-up, and odor removal. Water Damage Hoboken has more than 20 years of experience and offers 24-hour emergency service. The business is licensed, bonded, and insured. Water Damage Hoboken provides a 100% Satisfaction Guarantee. Customers appreciate their attention to detail, friendliness, professionalism, and customer service. With emergency services available around the clock, Water Damage North Bergen manages customers’ needs for water damage restoration, mold remediation, odor control, and fire and smoke damage restoration, in and around North Bergen, New Jersey. The company handles damage from flooding or sewer backup with the latest equipment for extraction and contamination remediation. Mold can cause a multitude of health problems, but after assessment and a plan of action, Water Damage North Bergen sets about containing the mold, controlling and capturing contaminated air, and reducing the humidity levels. 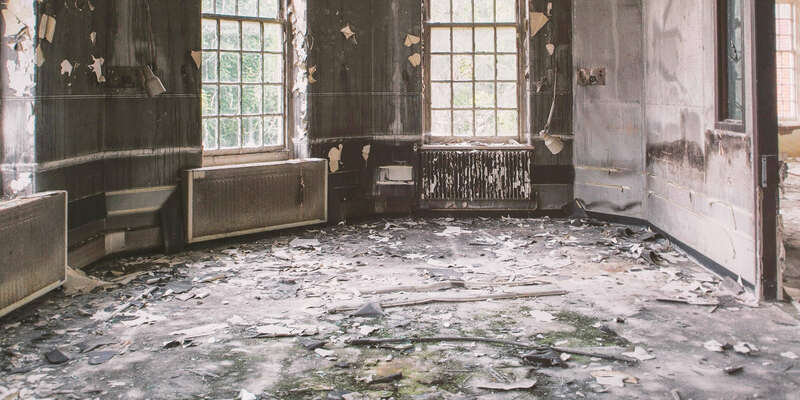 Fire and smoke damage is mitigated through the removal of smoke odors, cleaning upholstery and other valuable property, detection and neutralization of noxious gases, and restoration of property to original condition. Water Damage Union City offers a range of damage restoration services to residential and commercial clients facing problems related to flooding, broken pipes, mold, fire, and smoke damage. The company has nearly 30 years of experience in the restoration business. All of the company’s technicians are polite, professional, and fully certified. Water Damage Union City offers emergency restoration services 24 hours per day 365 days per year. Water Damage Union City offers a guaranteed 30-minute response time. The company specializes in water extraction, content moving, humidity control, complete sanitization of carpets and other contents of a building’s interior, and sewer and mold remediation. After a fire, the company examines the property to determine whether certain items have the potential to be refurbished, removes soot from carpets, furniture, and other household fabrics, and repairs broken furnaces to prevent puff back.